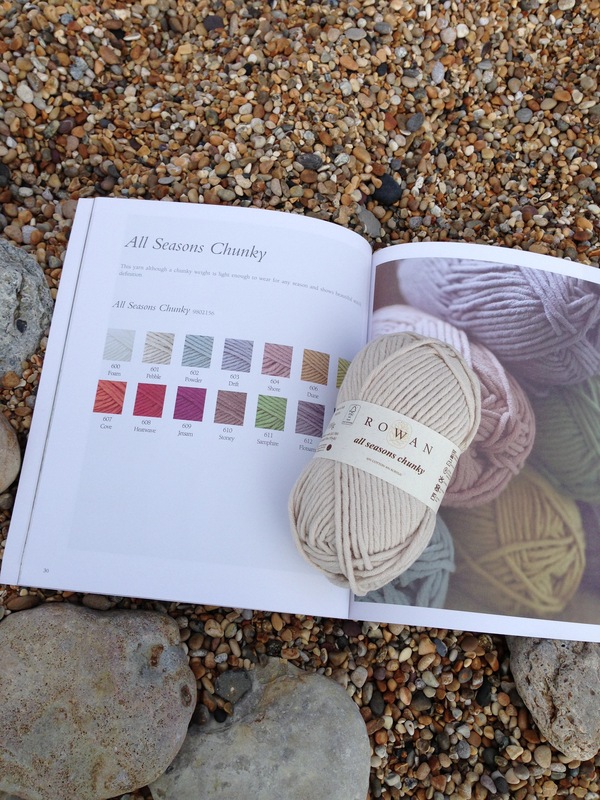 This week up for review, its Rowan’s new yarn All Seasons Chunky. 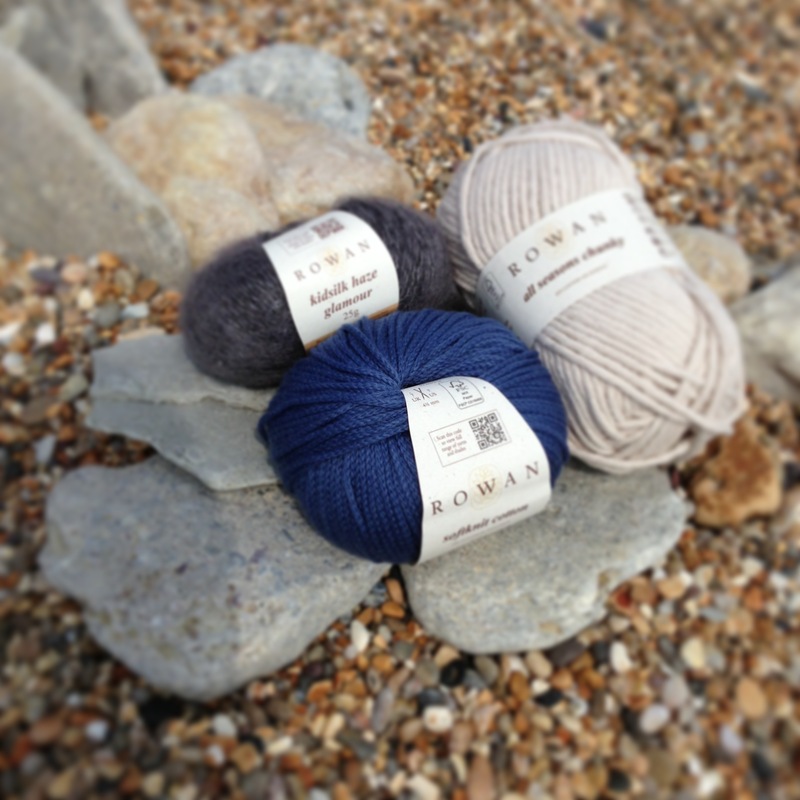 This chunky weight yarn was launched by Rowan for the 2013 Spring/Summer Season. Composed of a machine washable 60% cotton and 40% acrylic microfibre, it’s a lovely yarn; soft and light enough to wear for any season. 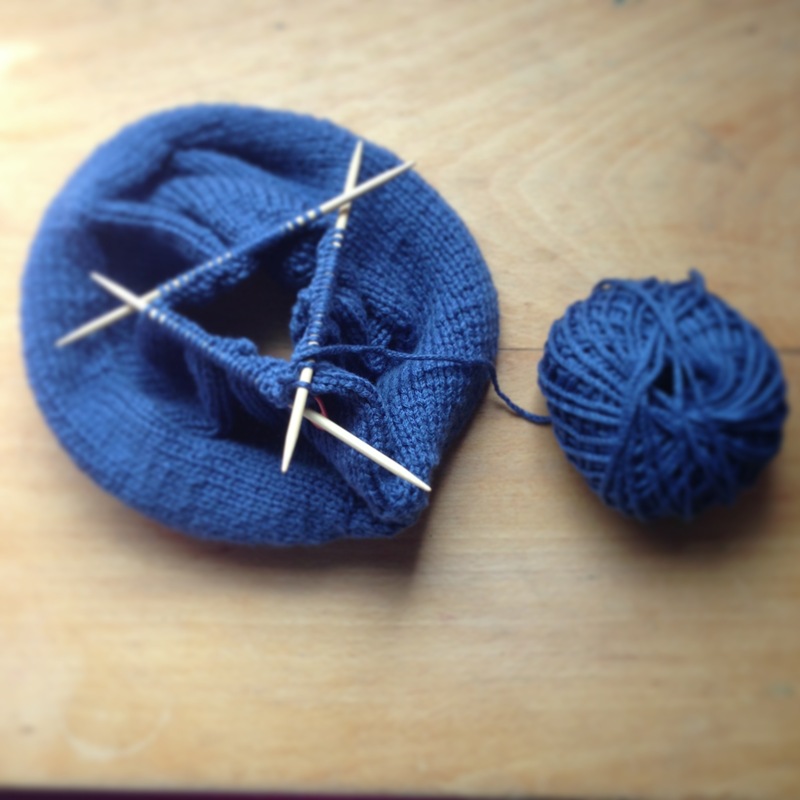 I really enjoyed knitting with it : I have to agree with Rowan that this new yarn certainly shows beautiful stitch definition. It knits up very quickly which is very satisfying. 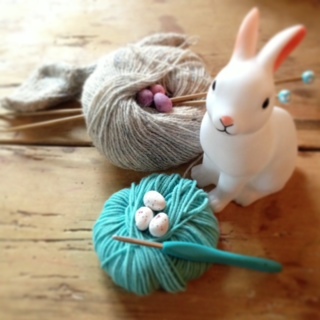 I also got to try out some of my favourite chunky knitting needles! 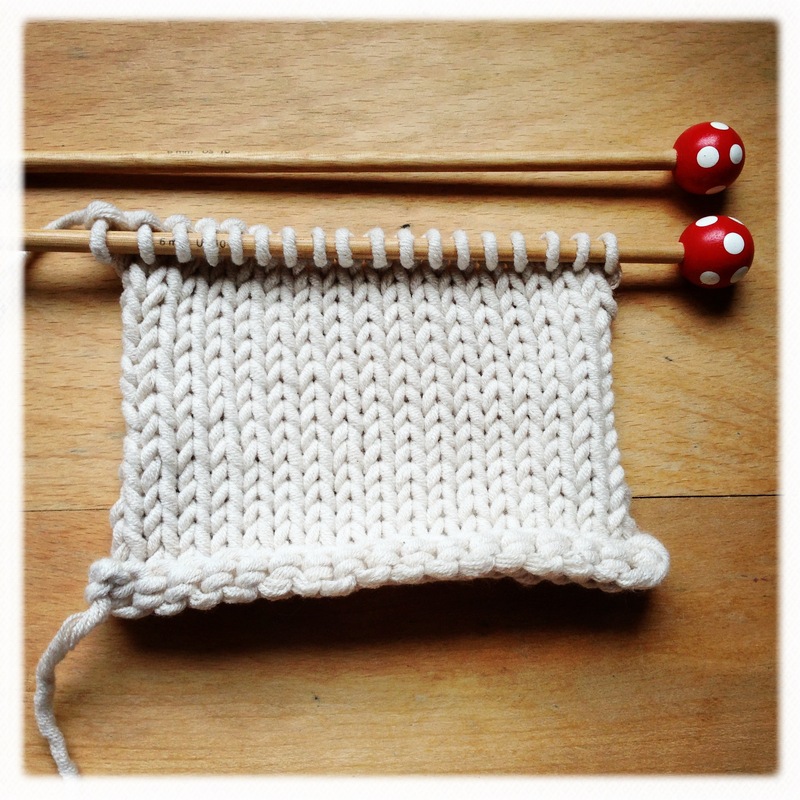 (the ball band recommends US 10.5 (UK 2) knitting needles). 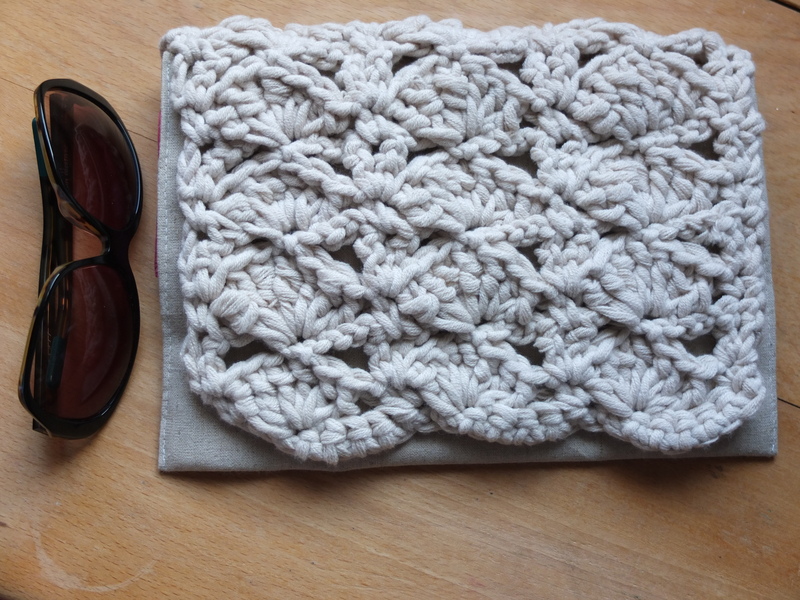 Next I decided to experiment with some crochet. 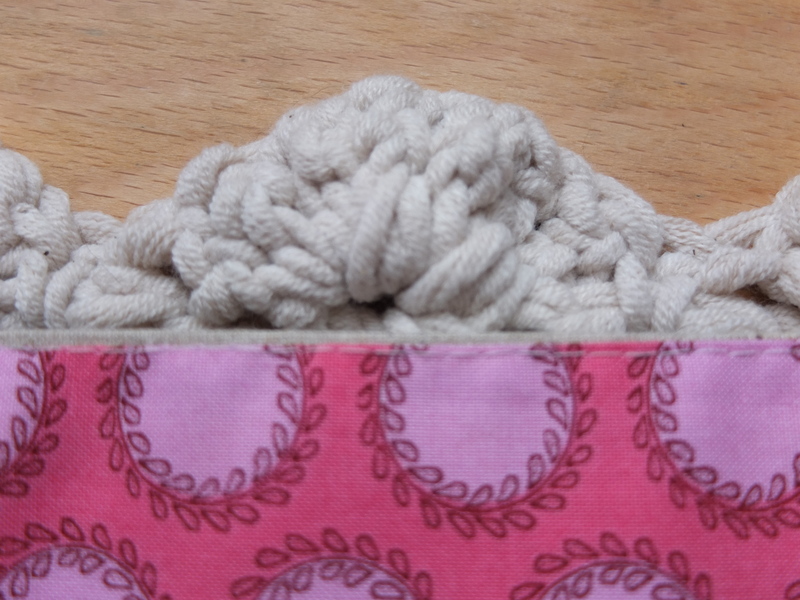 I used a 6.5mm crochet hook. 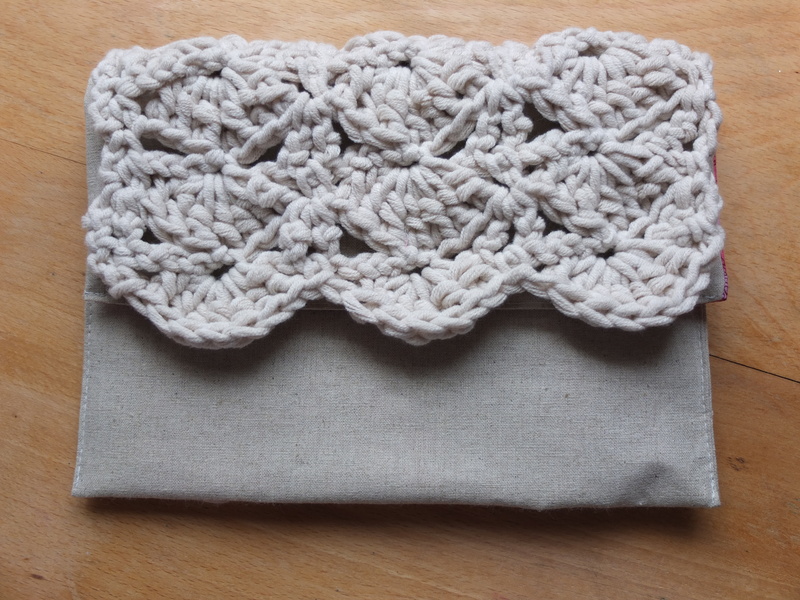 With one ball of yarn to play with, and inspired by the final of the Great British Sewing Bee, I thought I would make a crocheted clutch bag for the summer with a pretty ‘shell stitch’. 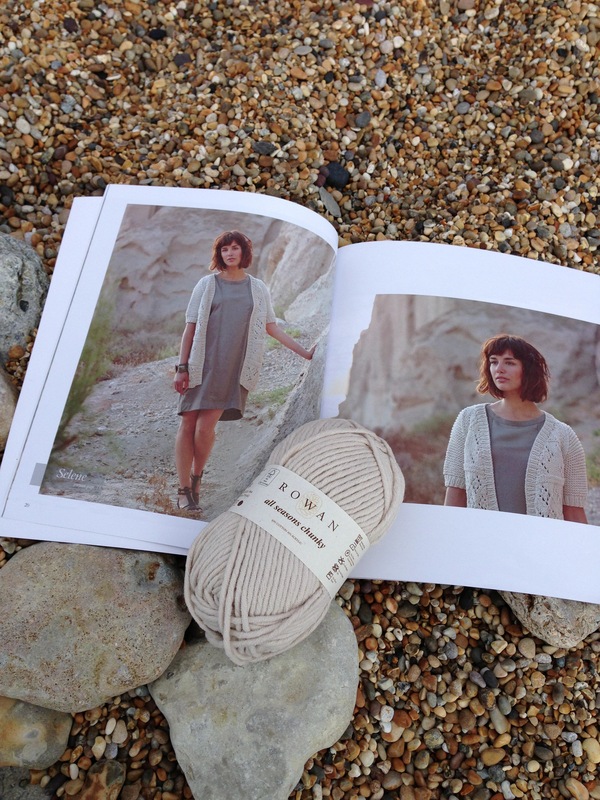 The ‘pebble’ colour of the yarn went beautifully with some linen that I had in my stash and some gorgeous Amy Butler fabric from her Soul Blossoms collection for Rowan. 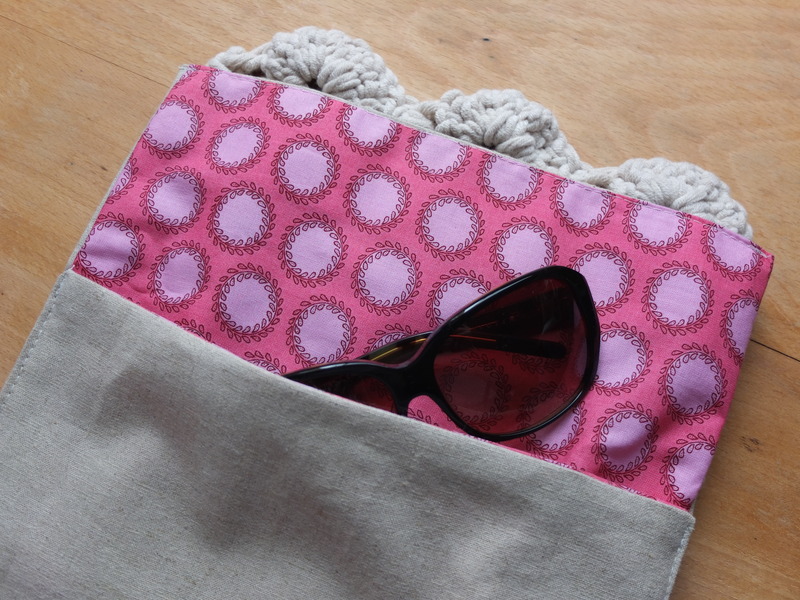 I made a simple linen clutch bag lined with the Amy Butler fabric and hand stitched the crochet to the outside. 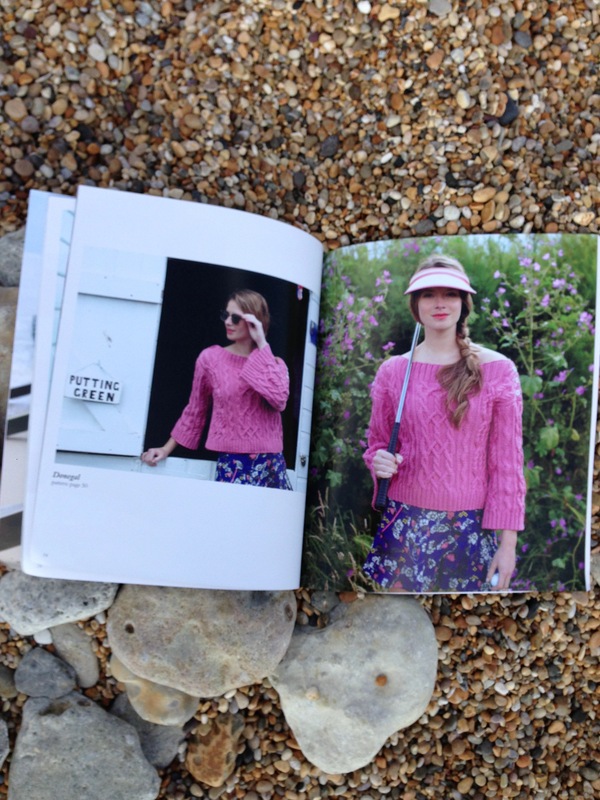 There are some beautiful knitting patterns in the All Seasons Chunky Brochure reflecting the trend for relaxed summer knitwear. 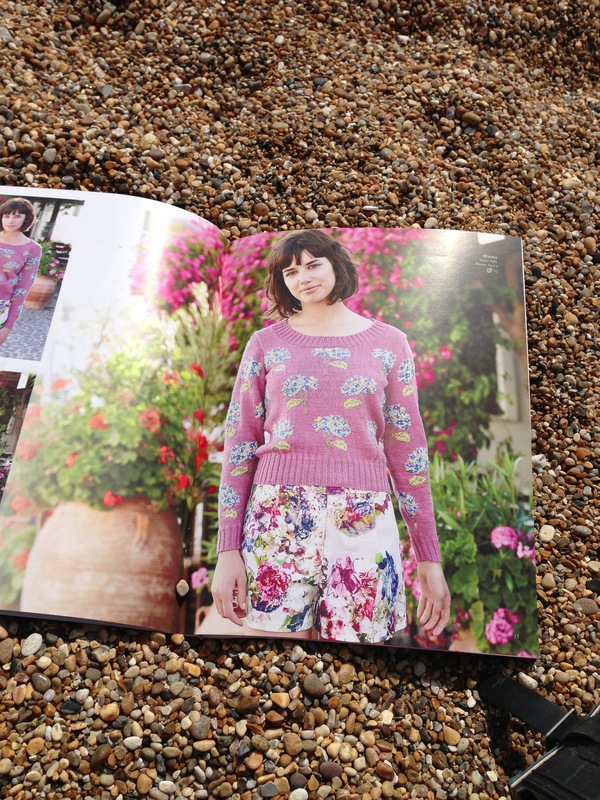 Marie Wallin has designed 12 simple textured easy to wear knits that are “simple to knit and are perfect for whiling away lazy summer days and warm sultry evenings”. 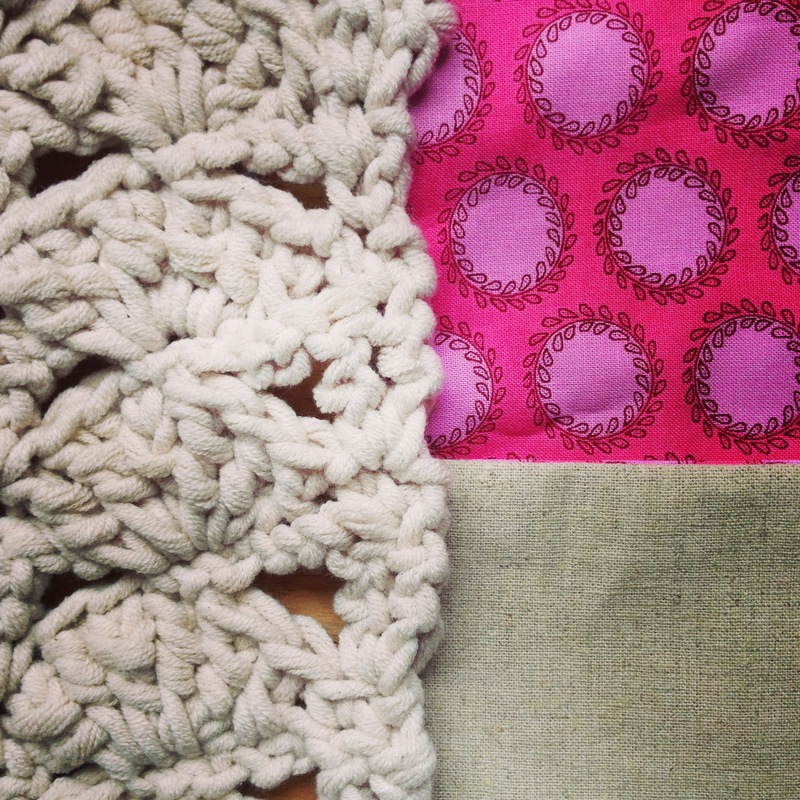 Check out this post for some examples, or have a look at Rowan Yarn’s Pinterest Board. 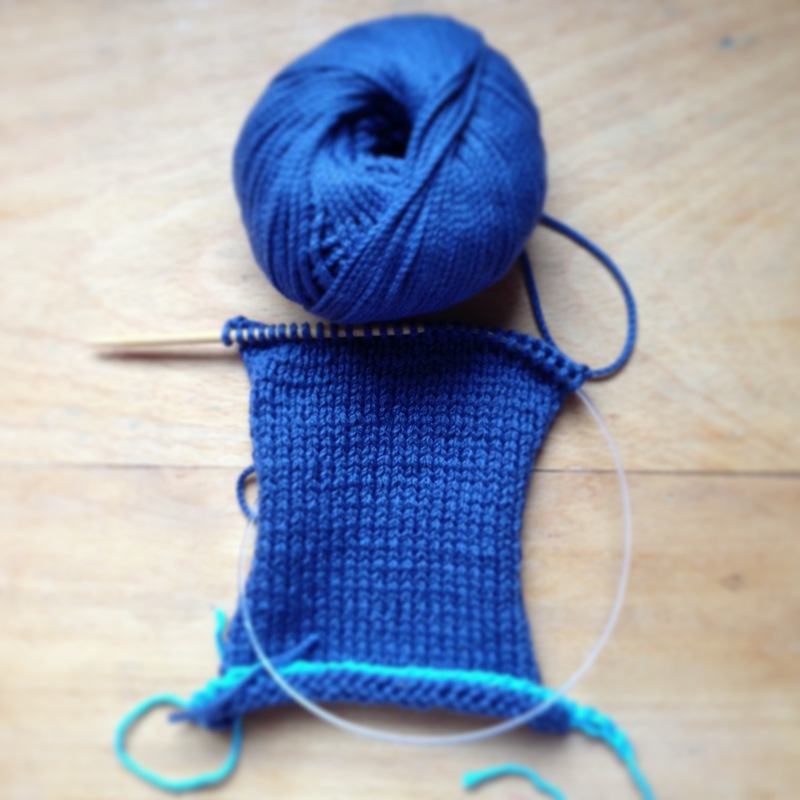 Happy summer knitting (or crocheting)! This entry was posted in Crochet, Knitting, Mixed Media Projects, Rowan, Rowan Ambassador, Sewing and tagged Amy Butler Soul Blossoms, Crocheted Linen Clutch Bag, Linen Clutch Bag, Marie Wallin, Rowan All Seasons Chunky, Rowan All Seasons Chunky Collection, Summer knitting on April 25, 2013 by Mint Essential Wellbeing. 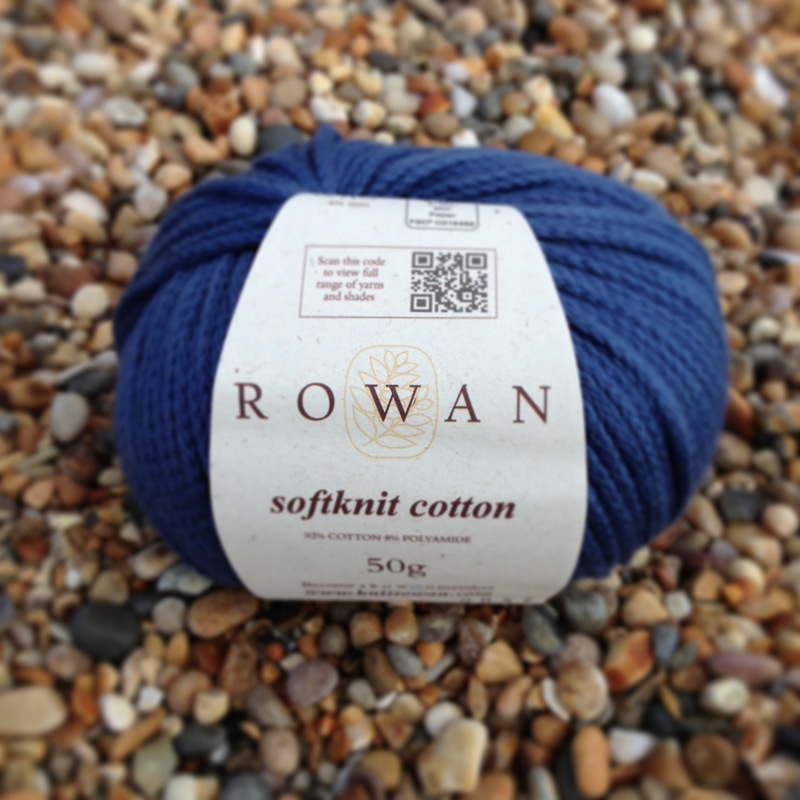 Thank you so VERY MUCH to everyone who took part in my Rowan Giveaway competion, especially those of you who have just met me and decided to become a follower of my blog or my facebook page. Wow : the response was amazing : all of that liking and sharing – I hadn’t anticipated the power of the internet eh!? 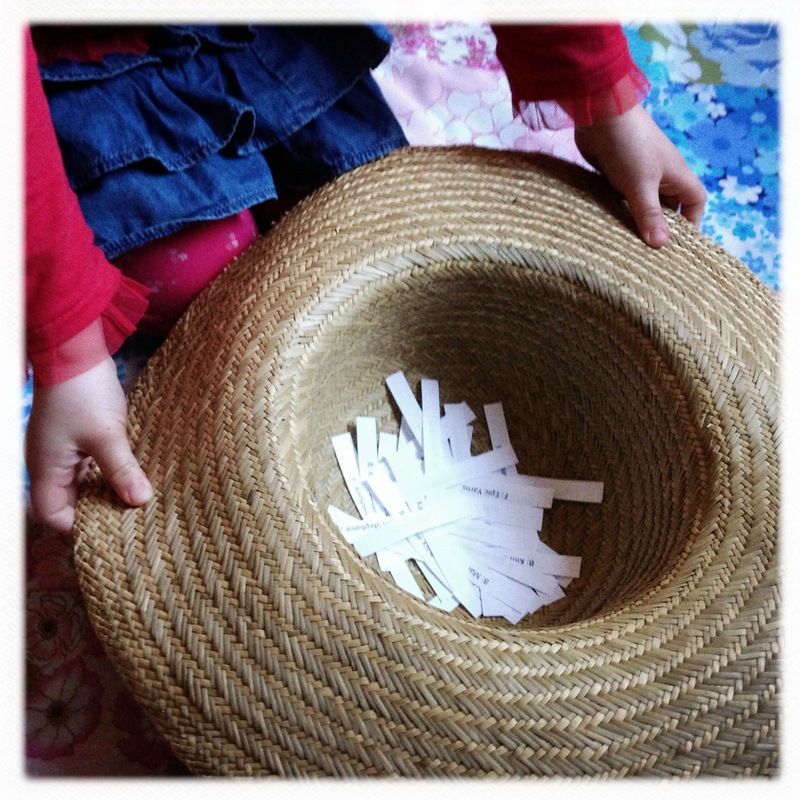 This give-away has been such fun and generated so many wonderful comments with the added benefit of allowing me to make lots of new like minded friends super quickly! Hooray! This entry was posted in Competitions and Give Aways, Crochet, Knitting, Rowan and tagged Rowan, Rowan Magazine 53, Rowan Magazine 53 giveaway on April 12, 2013 by Mint Essential Wellbeing. 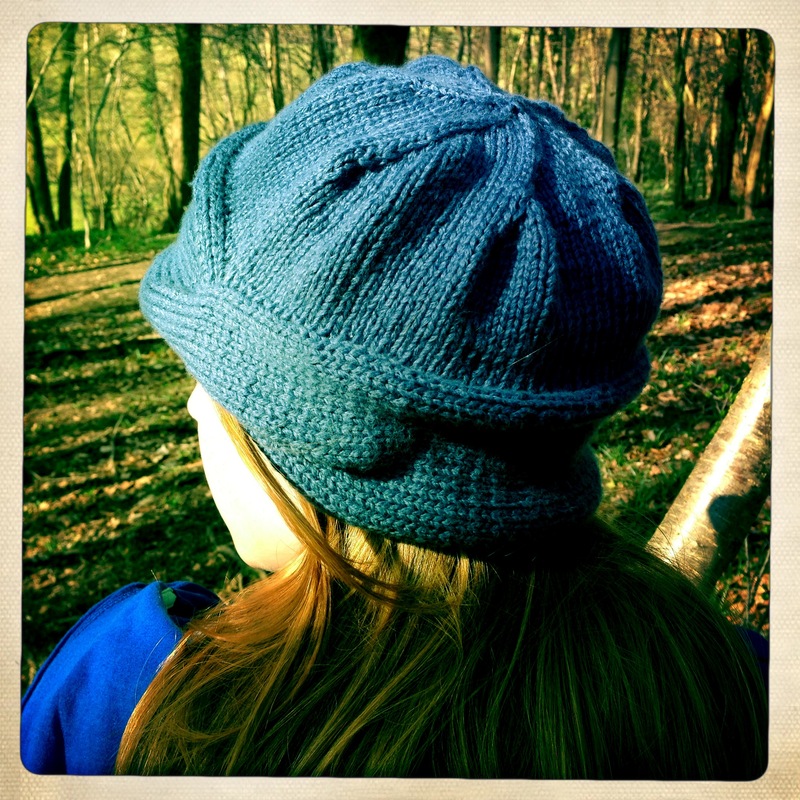 Loveknitting.com Blogger of the Week! 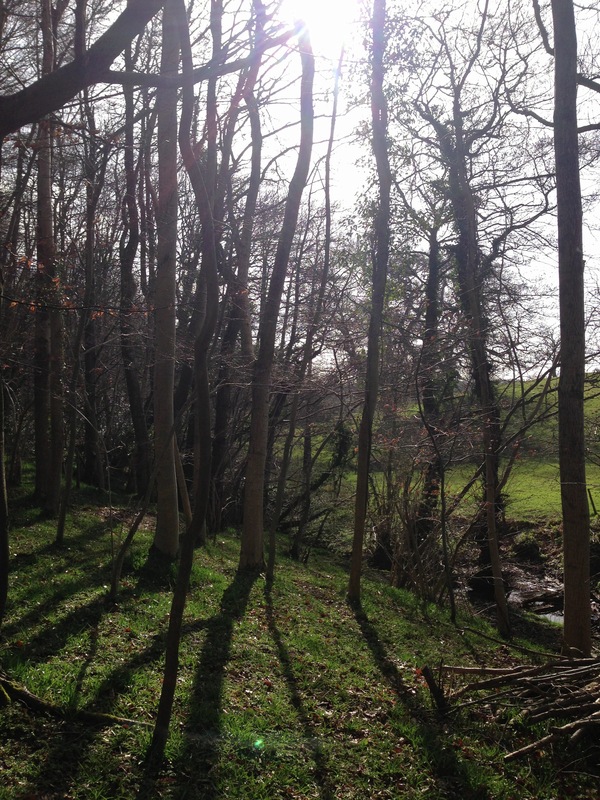 It’s turned into an Amazing sort of Day! 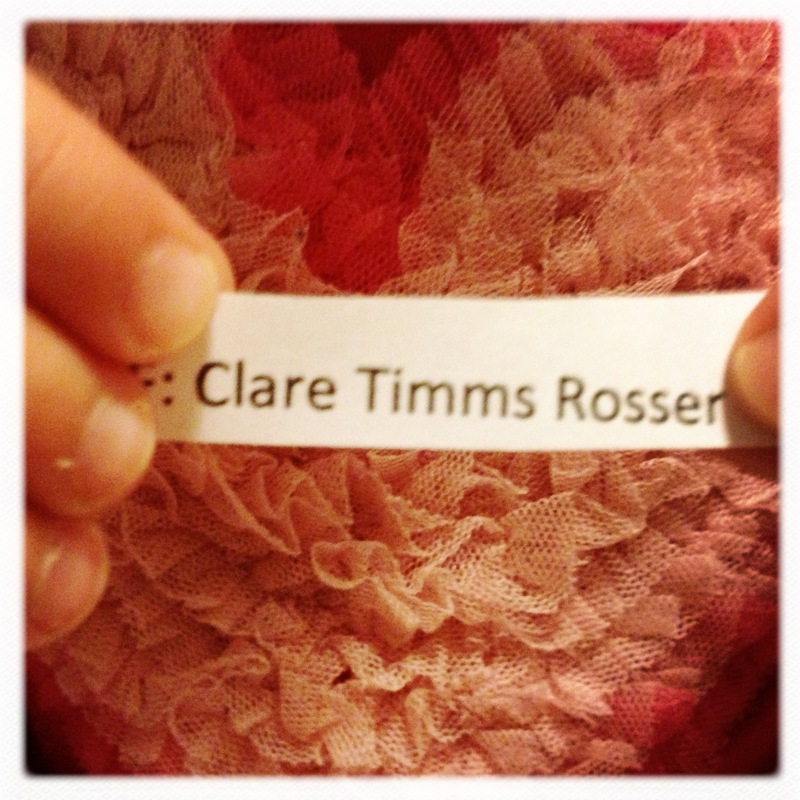 I’ve just been awarded Blogger of the Week by Loveknitting.com! 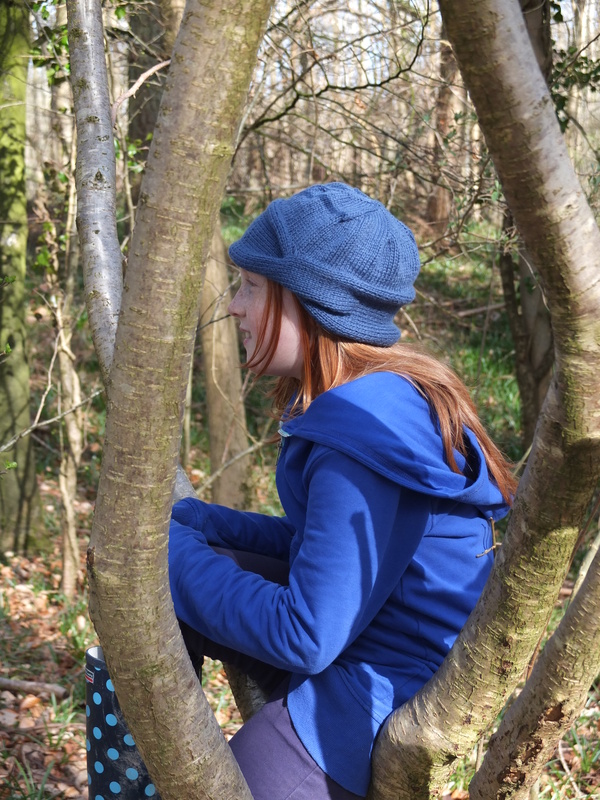 Check out this link and take a look at their lovely yarns, needles, books and button’s whilst you are there 🙂 You can also find out more by subscribing to their newsletter. 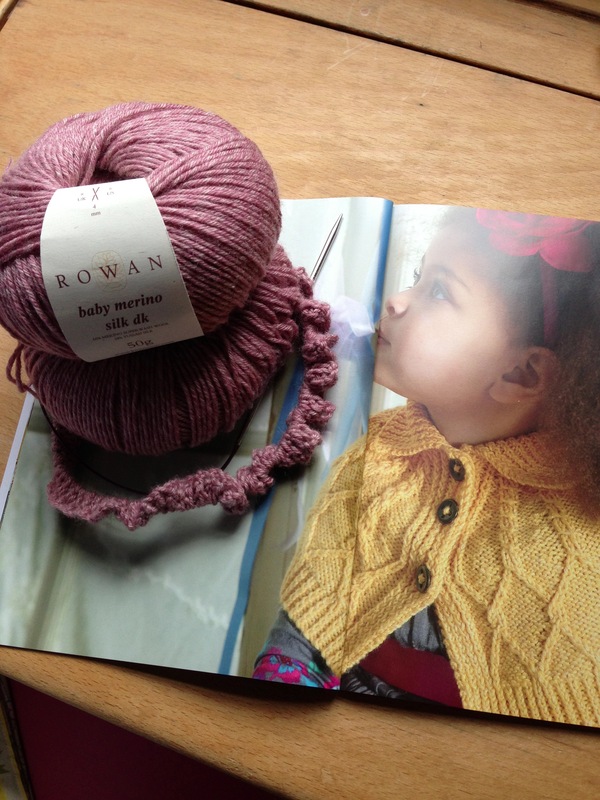 By the way, there is still plenty of time to enter my Rowan give-away! 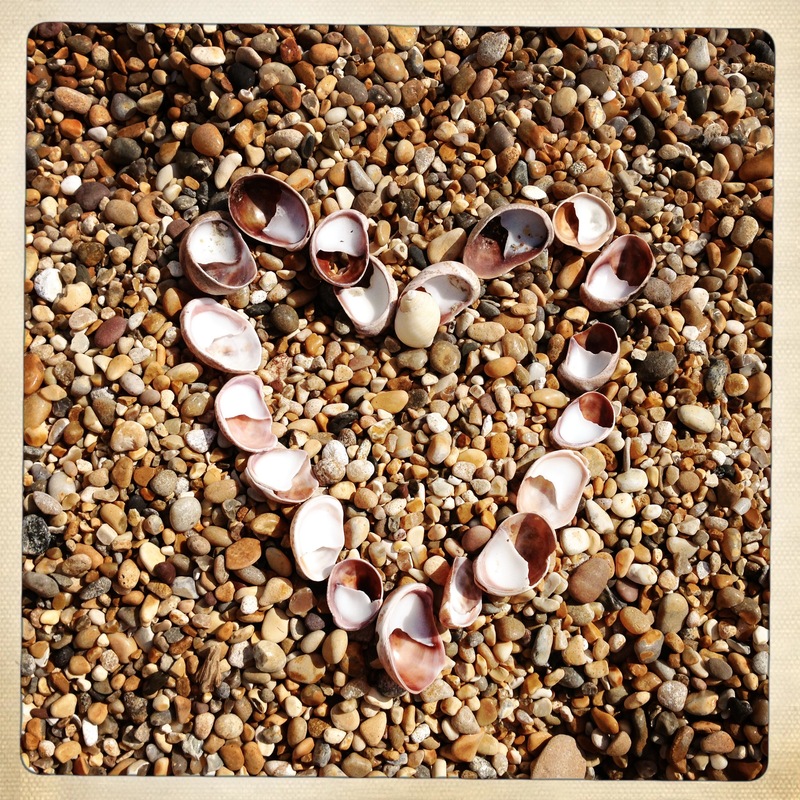 Thank you so much to all of my new likers on Facebook and Blog followers : the response has been fantastic so far! 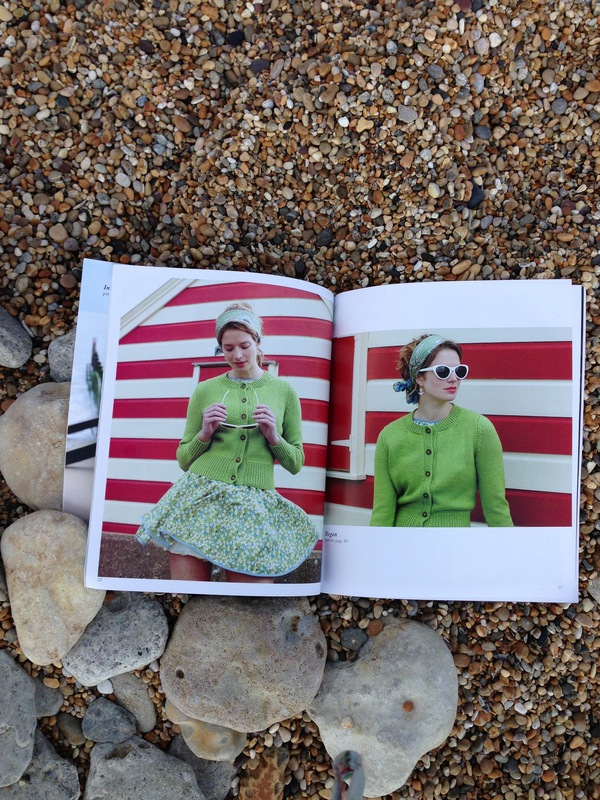 I will be announcing the winner of the copy of Rowan Magazine 53 on Friday 12th April! This entry was posted in Awards, Competitions and Give Aways, Crochet, Knitting, Rowan and tagged Blogger of the week, Loveknitting.com, Rowan Ambassador, Rowan Give Away, Rowan Magazine 53 on April 5, 2013 by Mint Essential Wellbeing. Rowan Beach Shoot and a Giveaway! 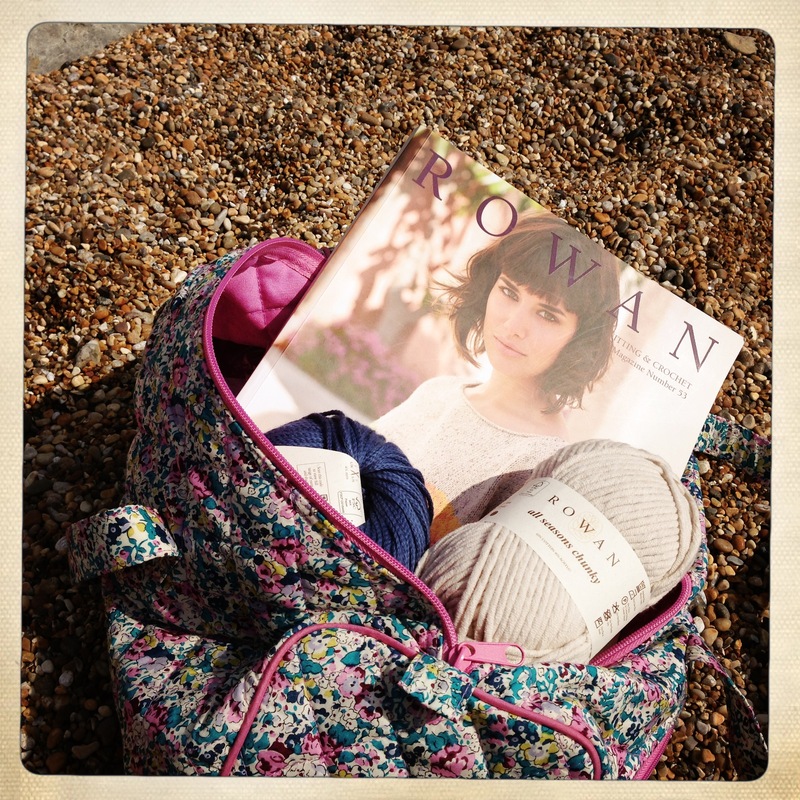 Hello, I’m going to be spreading a little bit of Rowan Love from the beach today…. 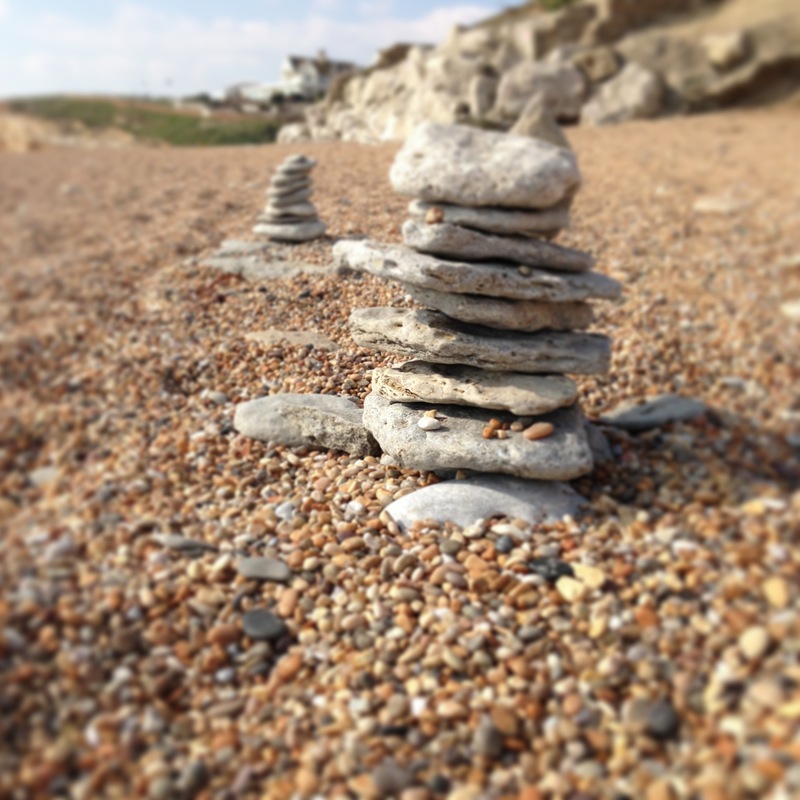 We popped to our favourite beach on wednesday. 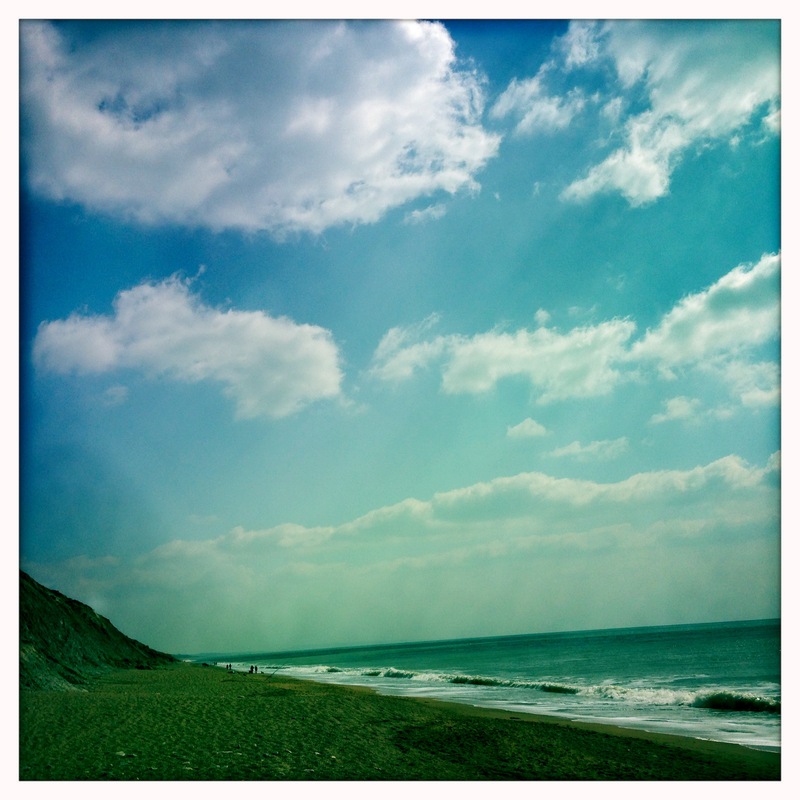 Ok, so I know its super chilly here in the UK at the moment, but I can’t resist a trip to the seaside whatever the weather and we were very fortunate in that the sun shone, the sky was blue, and it was actually quite warm down on the beach itself (as long as you were wrapped up well against the elements). I even managed to get a little windburnt suntanned! 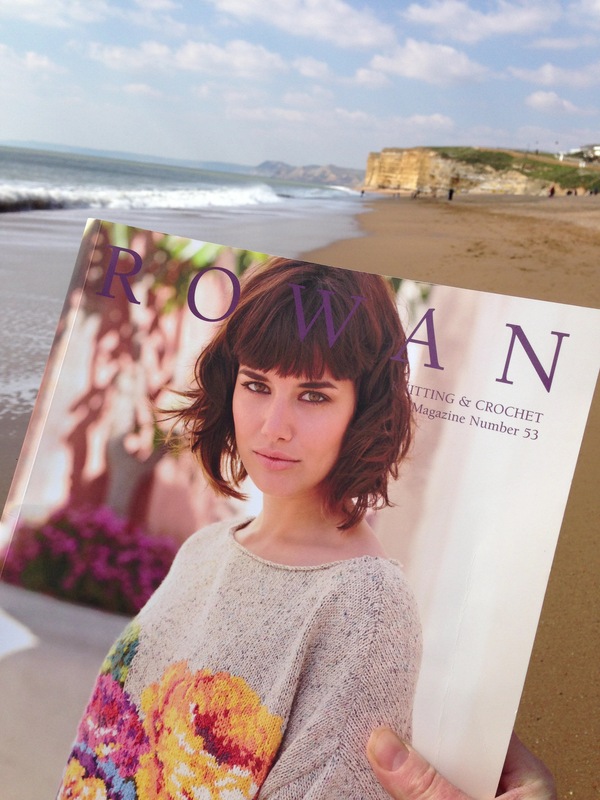 I wanted to share with you some of the lovely goodies that I received from Rowan recently and I thought that perhaps if I couldn’t transport myself to the beautiful island of Santorini where the story ‘Glorious’ in Rowan Magazine 53 was shot, the Jurassic coastline in Dorset would do! 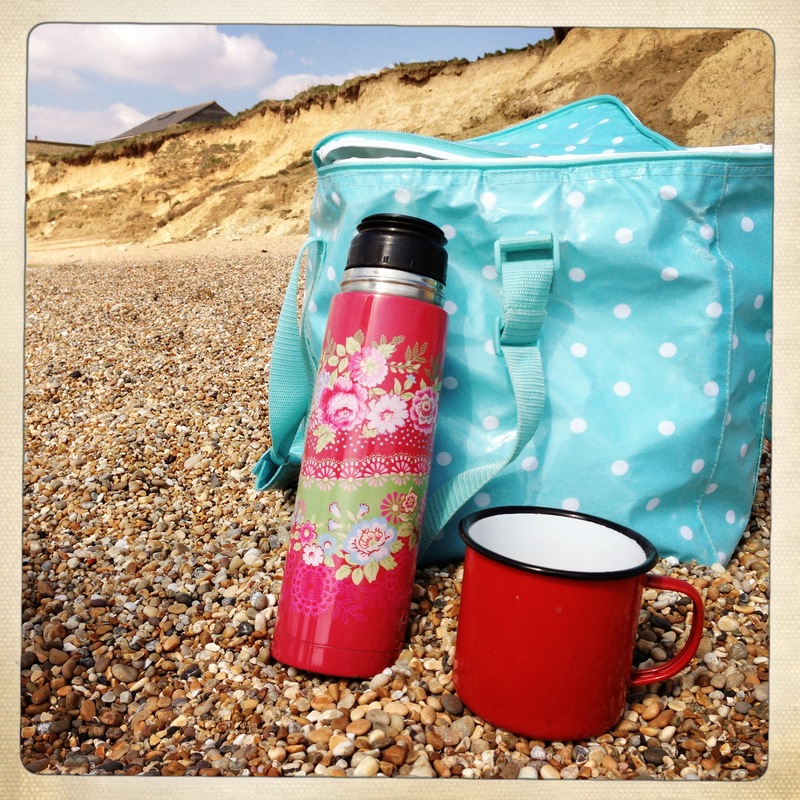 So come and join me at the beach for some summer inspiration…. 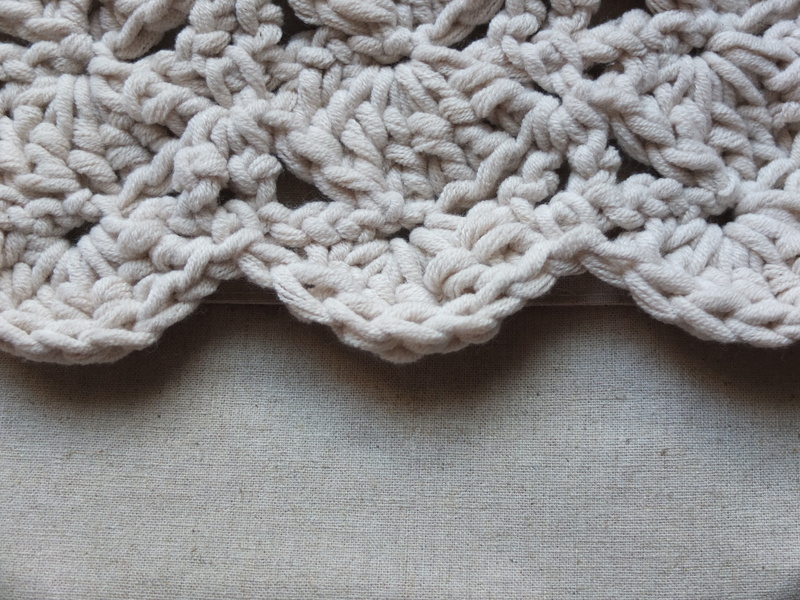 It’s a lovely lace pattern to try and the Kidsilk Haze is so deliciously light and airy to work with. 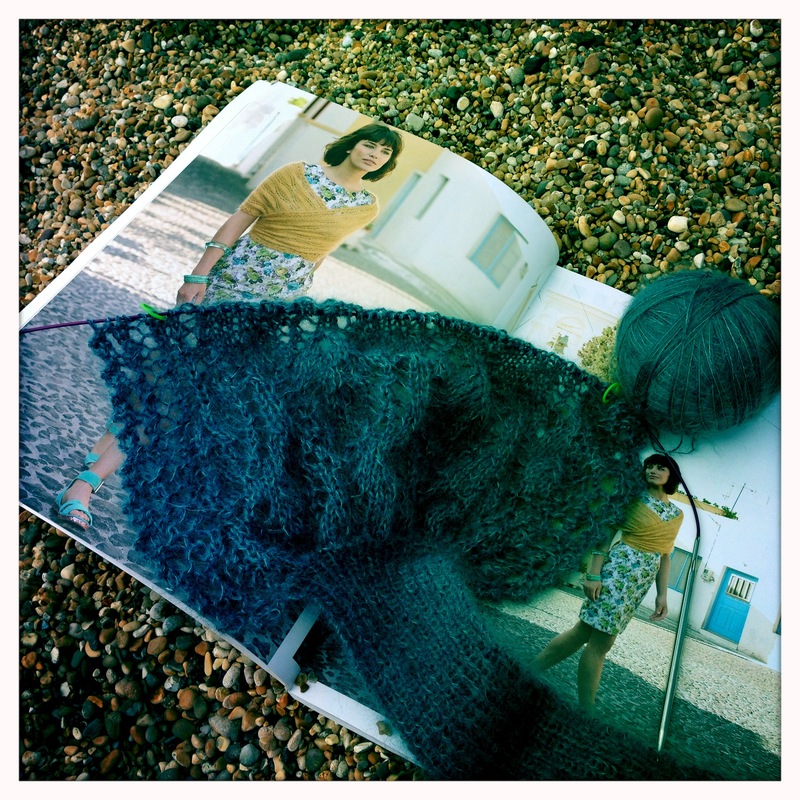 Definitely worth checking out if you fancy giving lace a go. I’ve fallen in love with Vibe’s designs before and written about it here. 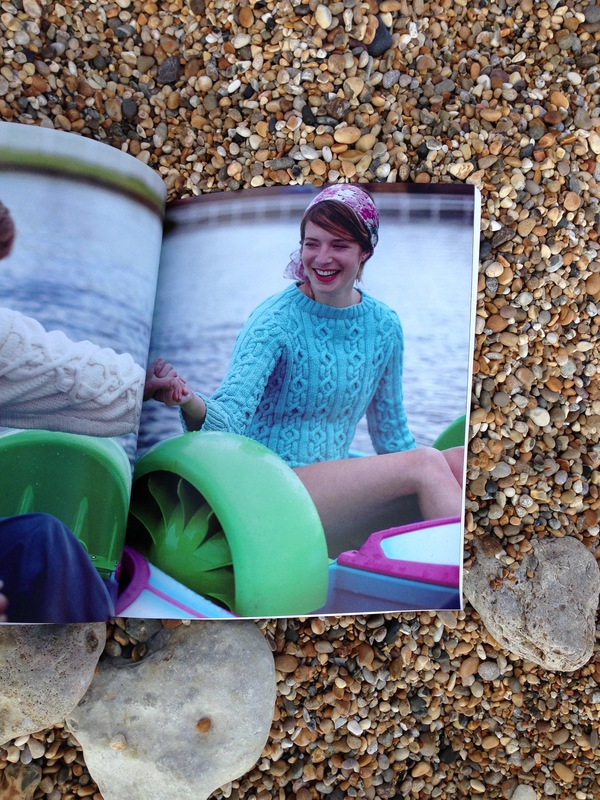 You can find a fascinating interview with Rowan’s newest designer in the Rowan 53 magazine. I’m looking forward to trying out this new yarn which is a combination of cotton and acrylic microfibre. 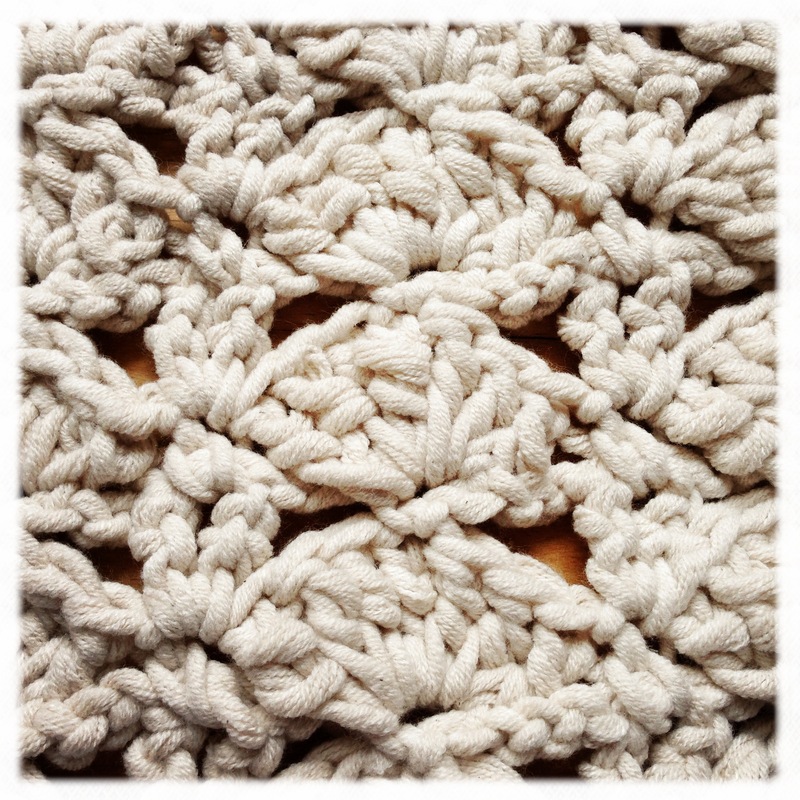 I can see it being useful for both knitting and crochet, with its great stitch definition. 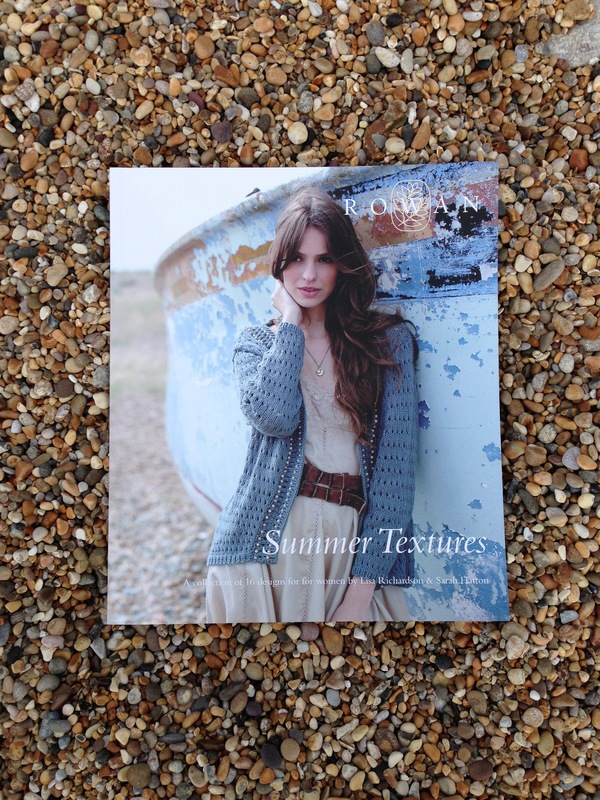 Or maybe you might fancy the Summer Textures collection : a texture and colour driven collection by Lisa Richardson and Sarah Hatton, which looks to handicraft and artisan tribal weave textures for inspiration? 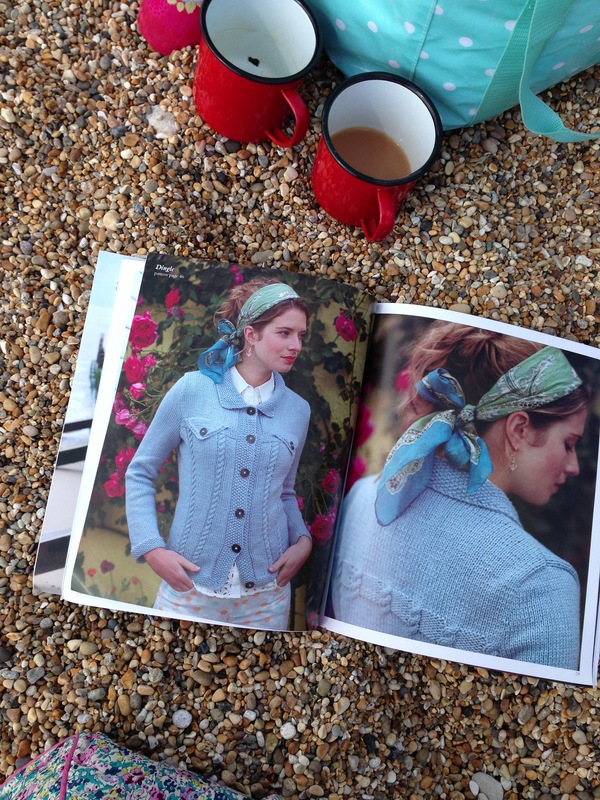 Isn’t this gorgeous Softknit Cotton tempting? 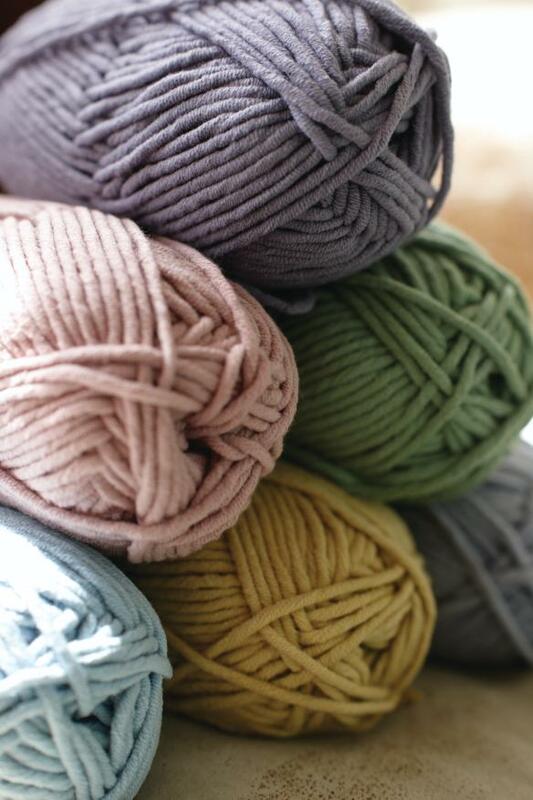 The colours available in this new yarn are simply stunning. 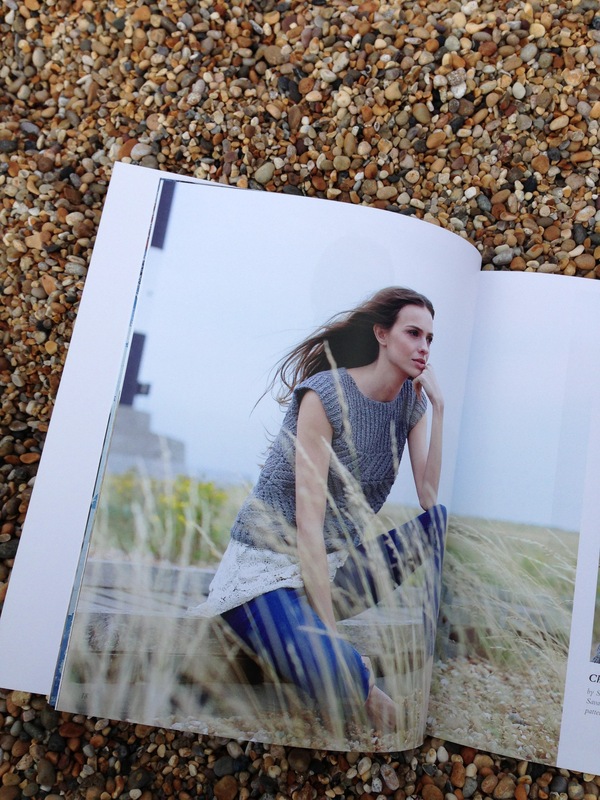 These designs by Martin Storey provide a fabulous trans-seasonal collection for men and women, with the softknit cotton being interchangeable with Rowan Handknit Cotton. Kidsilk Haze Glamour is a fine yarn made from a blend of super kid mohair and silk with a thread of sequins. It’s ideal for lace stitch accessories, being lightweight and glamourous, and suitable for evening wear or just that little bit of added sparkle! 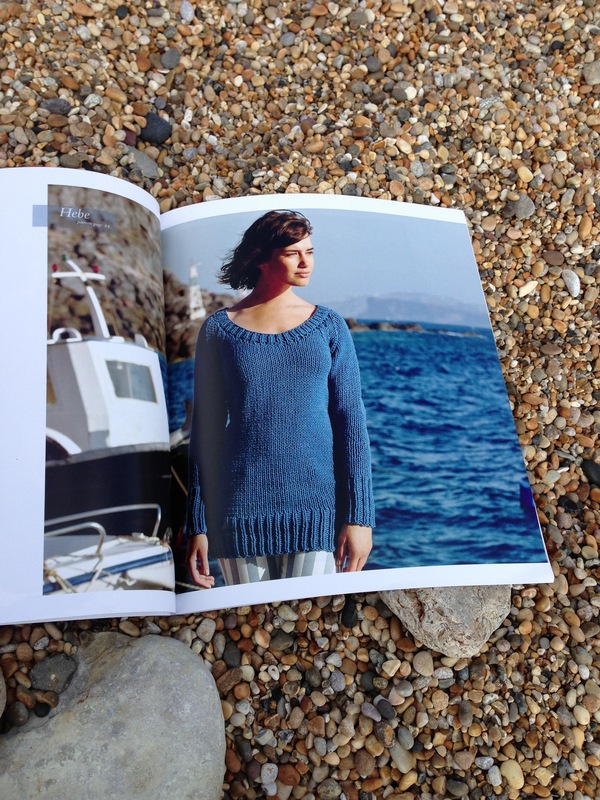 I’m going to try crocheting with it as a comparison to knitting (my Symi Wrap). 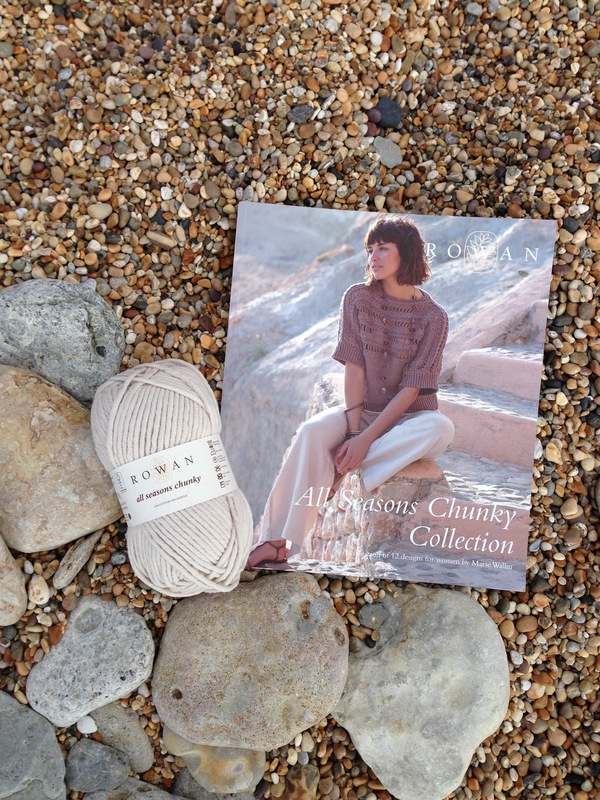 I’ve also got some plans for some Rowan’s Baby Merino Silk DK and the new Studio 30 collection which contains Folk influenced designs by Sarah Hatton. 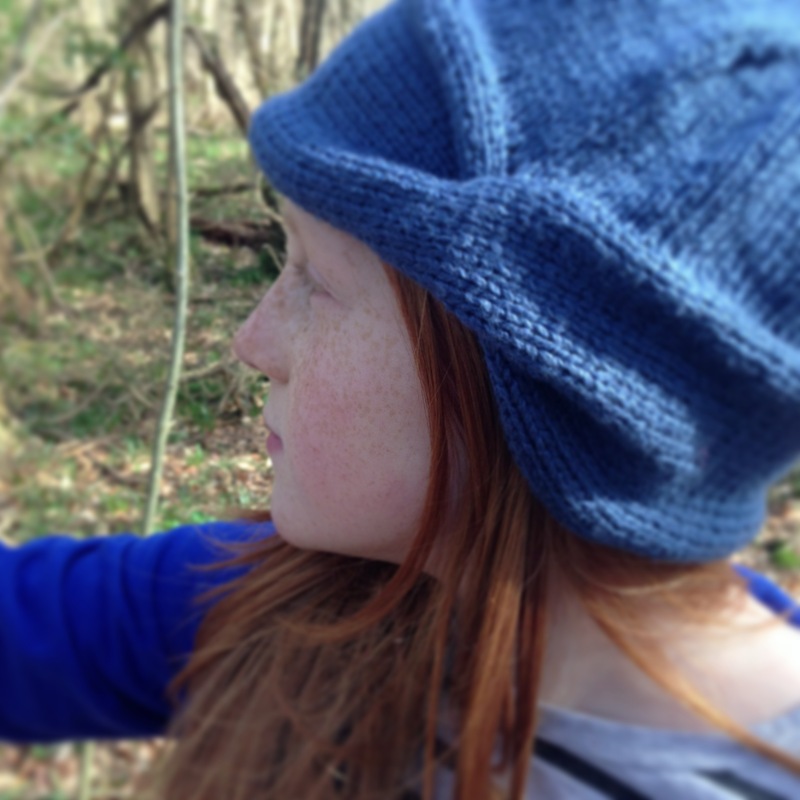 Rowan Studio 30 provides a capsule wardrobe of knits for boys and girls from 0-3 months up until 5 years. 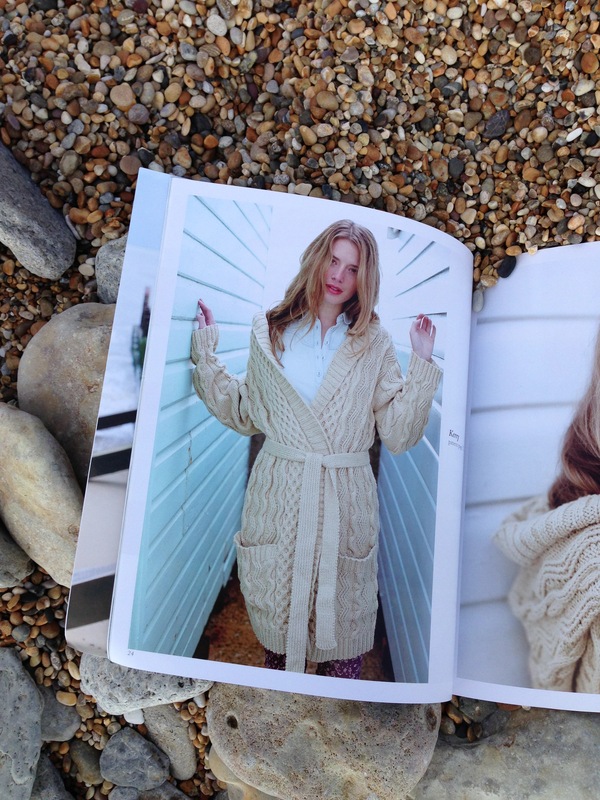 Isn’t this pretty Louisa Cape sweet? I love the yellow in the brochure but I’m afraid my little girl has of course requested it in pink!! (official colour ‘rose’!) I bought this yarn on my little trip to Liberty when I visited the Wool House exhibition last month. 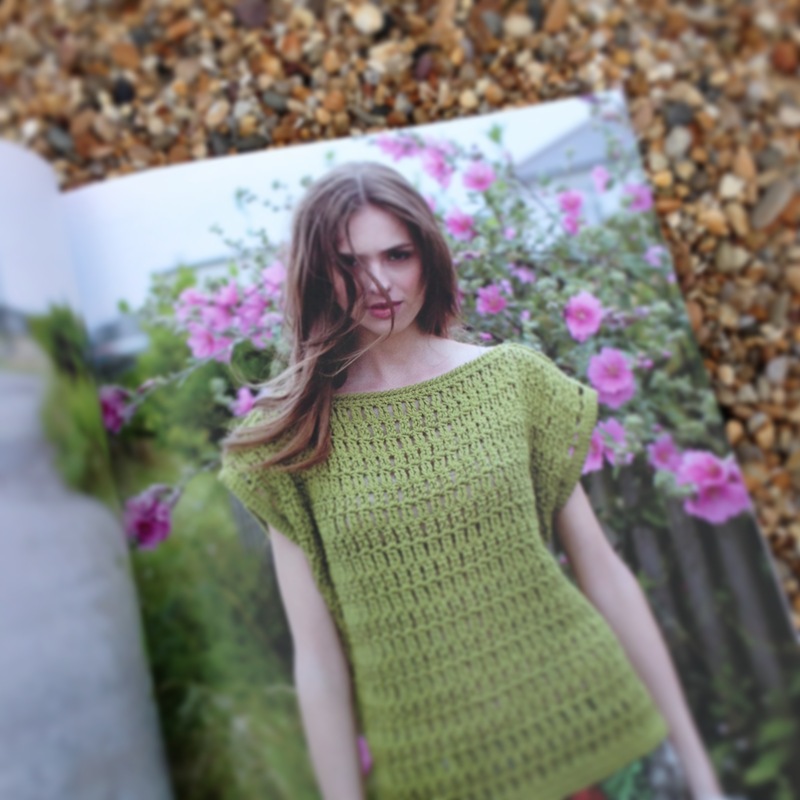 I’ve also spotted a gorgeous little girl’s Tutu design by Kat Goldin in the latest edition of Inside Crochet Magazine, with the suggestion that Rowan Baby Merino Silk DK could be used for an extra-luxurious skirt variation! 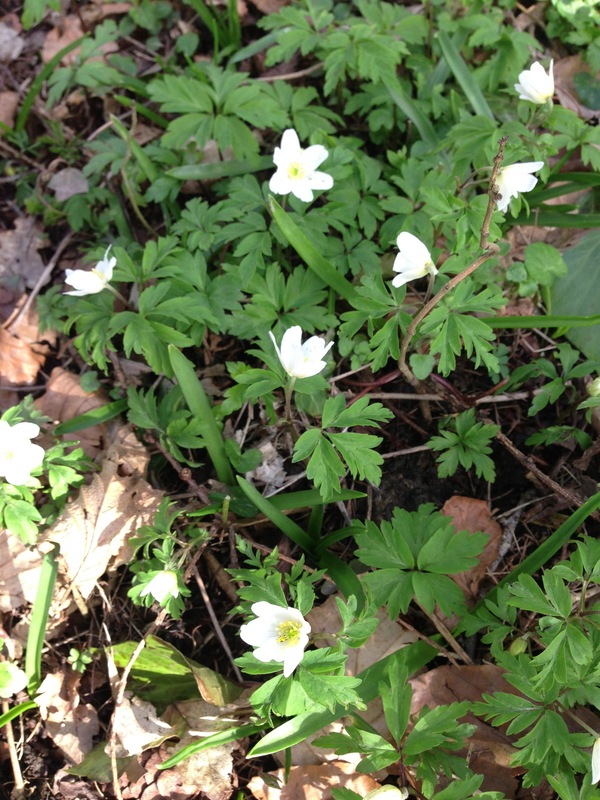 You can also check out some of my other Rowan favourites in my Rowan Favourite’s Pinterest Board. 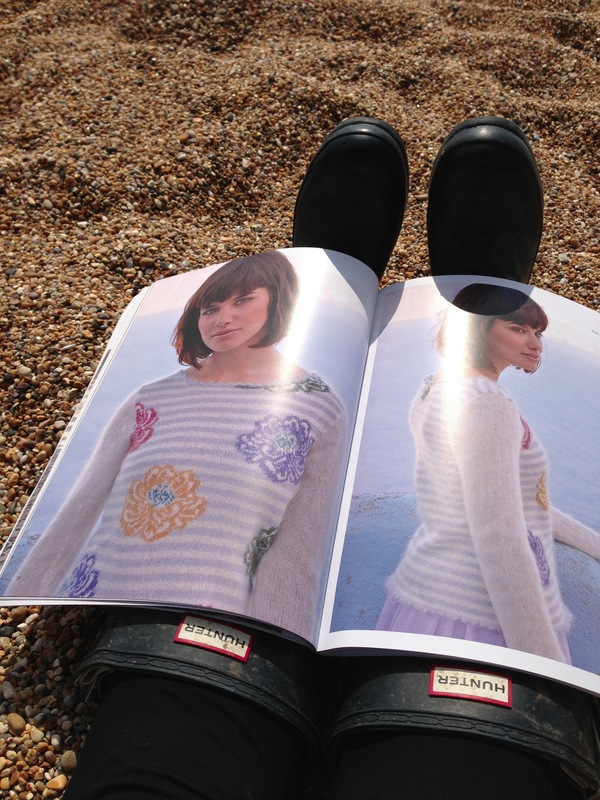 I just wanted to let you know that I really appreciate all of you lovely people stopping by to read and comment on my blog and my Knitandpurlgarden Facebook page, and as I have a spare brand new copy of the new Rowan Magazine 53 looking for a new home (I’ve already got my subscriber copy, which you can find more out about here) I’ve decided to do a Rowan giveaway!! 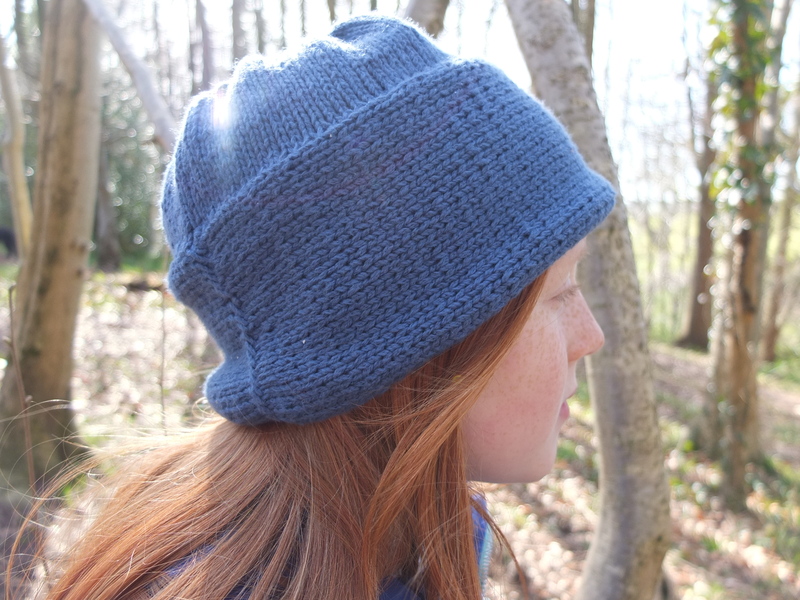 All you need to do is ‘Like’ my Knitandpurlgarden Facebook page, share the Rowan image you’ll find there in your Facebook feed and leave me a comment to let me know. 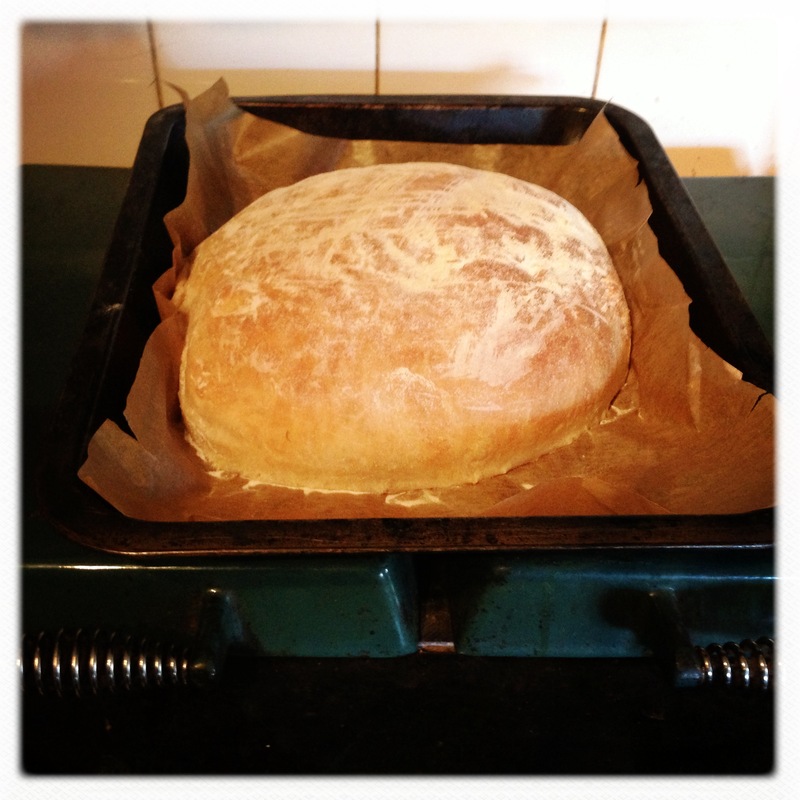 Alternatively you could also follow my blog and leave a comment here too. If you do both, you will get two chances to win! 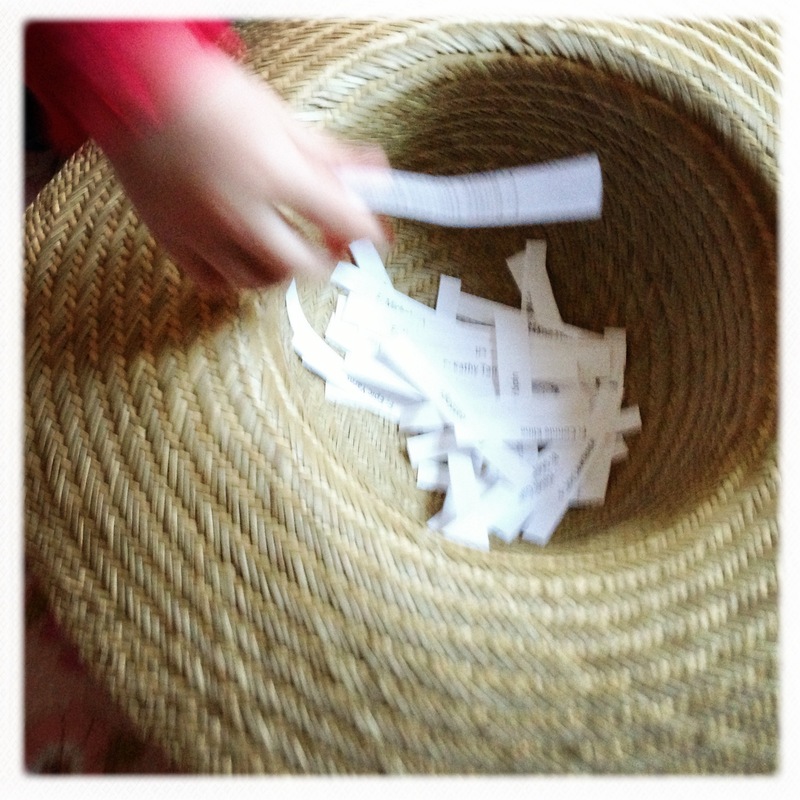 I will be announcing the winner next Friday. 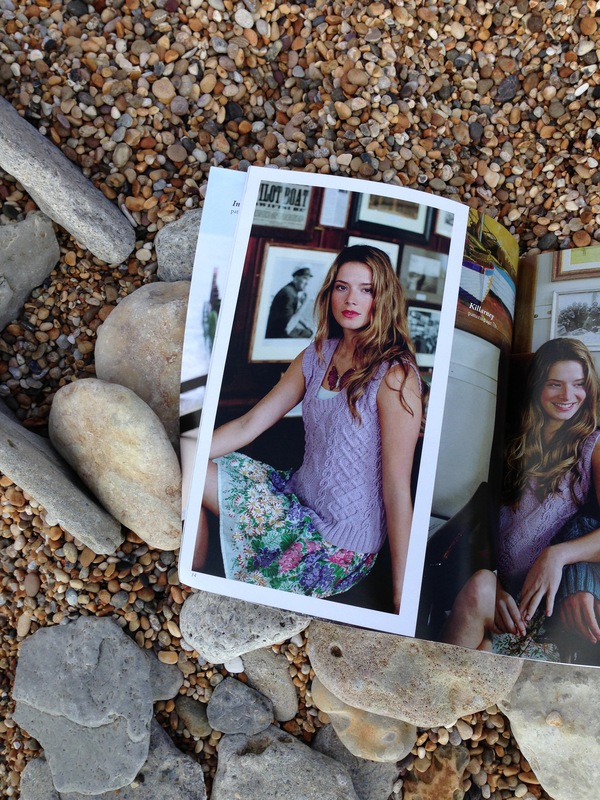 The lucky winner will receive a brand new copy of Rowan’s Magazine 53 featuring the latest Spring & Summer Collection 2013. If you are interested in winning a copy, please follow my blog and leave a comment below or like and share the Rowan give-away image on my Facebook page. This entry was posted in Competitions and Give Aways, Crochet, Days Out, Knitting, Rowan and tagged Inside Crochet Magazine, Kat Goldin Tutu, Rowan All Seasons Chunky, Rowan All Seasons Chunky Collection, Rowan All Seasons Cotton, Rowan Ambassador, Rowan Baby Silk Merino DK, Rowan Fine Lace, Rowan Give Away, Rowan Handknit Cotton, Rowan Kidsilk Haze, Rowan Kidsilk Haze Glamour, Rowan Louisa Cape, Rowan Magazine 53, Rowan Sofknit Collection, Rowan Softknit Cotton, Rowan Summer Textures, Rowan Symi Wrap, Vibe Ulrik on April 4, 2013 by Mint Essential Wellbeing.